The idea of selling and buying shares can seem like a formidable task for the uninitiated. A greenhorn starts imagining a room full of excited bankers, who are surrounded by a sea of computer monitors. What can be a potential turn-off is the notion that investing in shares can be risky and that equity markets are extremely fickle. You are wary of putting a lot of your hard earned money into shares all at once. However, you are also tempted by the prospects of investing in good quality shares and decide to invest small sums instead. There are a number of reasons to trade in shares online, but if there is a single reason that beats all others, it is the fact that trading shares online is an excellent option for the small investor. The traditional way of buying/selling shares can be very expensive. Any broker you select to transact on your behalf will charge a small percentage of fee based on how much the trade was worth. Higher the value of the transaction, the greater will be the amount you will end up paying the intermediary as brokerage fees. But an online share trading company charges you a one-time flat administration fee, regardless of value. Many other companies also have a fee-structure that will allow you to trade online for an entire quarter or even for an entire year. Be wary of certain brokerages that impose an inactivity charge for not trading enough number of times in one month. Looking at charges though is just one way of selecting a brokerage for online share trading. You also need to bear in mind the related services such companies offer and which can be of help while trading. Certain broking companies lend ‘fantasy’ money to first-time investors to get a hang of what trading in shares is like before they begin to put their own money into the market. Certain other websites also offer free research and financial data about the companies in whose shares you are interested. The sites also have ‘free tips’ from top analysts regarding which shares to buy/sell and at what price. 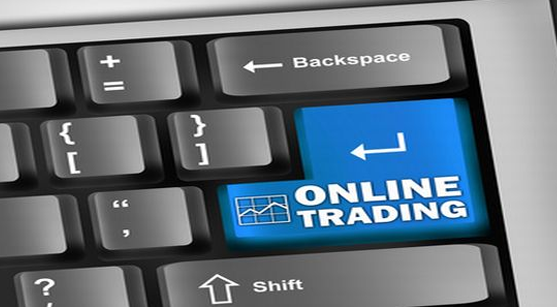 Experts opine that more and more people are now opting to trade in shares online because it is not only quick but also easy. Opening an account with a brokerage to trade in shares online is extremely easy and can be accomplished in 15 minutes by filling up an application form and entering a password. While buying, just search for the company that you find appealing and click on the ‘buy’ option. Once you have specified the number of shares that you would like to purchase or the sum you would like to invest, a pop-up appears allowing you around 15 seconds to consider the price at which the shares are being offered. After successfully buying the shares, they appear in your online account and will now be referred to as being part of your ‘portfolio.’ The account will continuously reflect the current price of the shares and whether you are sitting on profit or are incurring a loss. You must try to avoid putting all your eggs in one basket. It is advisable that the total amount you are going to invest be used to buy shares online in ten different companies. This will allow you to minimize the financial risk that is associated with dabbling in shares.